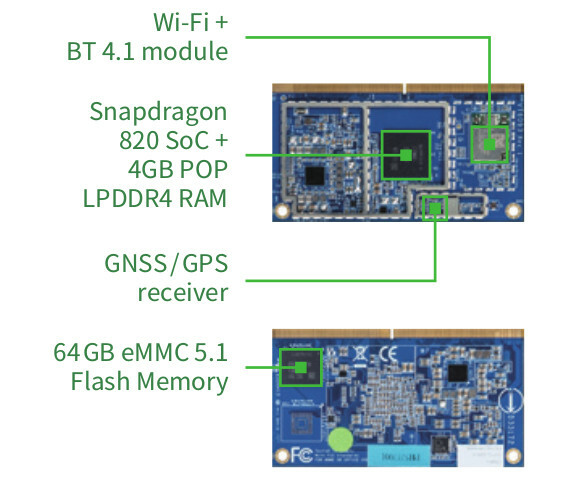 At the end of last year, VIA launched SOM-9X20 system-on-module powered by Qualcomm Snapdragon 820 processor coupled with 4GB PoP LPDDR4 RAM, 64 GB eMMC flash, as well as WiFi + Bluetooth module, and a GNSS/GPS receiver. The module can runs Android 8.0, and a Linux 3.18.44 BSP is also under development. VIA SOMDB2 multi-I/O carrier board is available for development and/or integration into products. 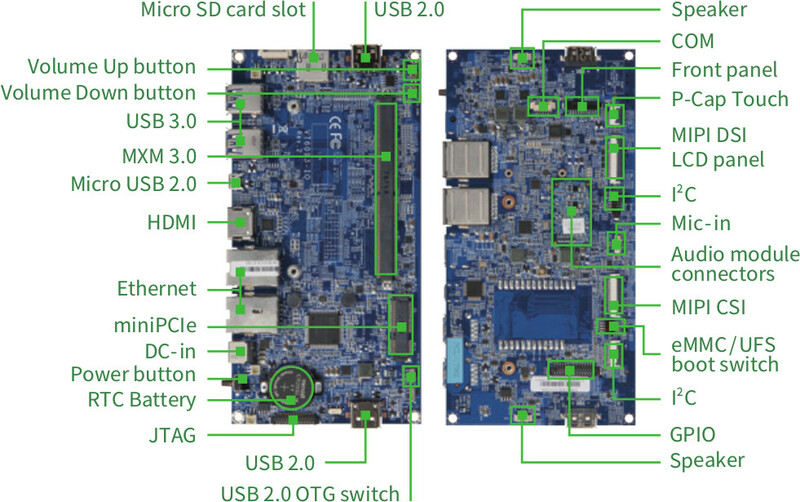 The carrier board includes HDMI and MIPI DSI display outputs, a MIPI CSI camera connector, USB 2.0 and 3.0 ports, two Gigabit Ethernet ports, a mini PCIe slot, audio/speaker connectors, and more. Apart from high- level description of their capability, VIA does not provide a lot of details for their smart platform. 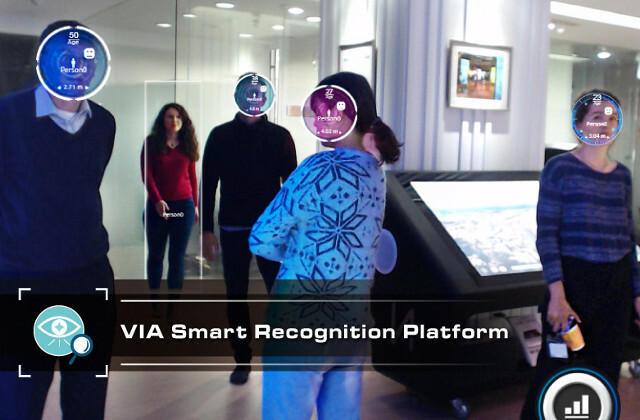 The Smart Recognition Platform is said to provide a flexible customization path for sophisticated security, surveillance, traffic monitoring, building management, and consumer engagement applications thanks to support for facial recognition, object detection, emotion detection, age and gender detection, and people counting & tracking, while the Smart Machine Vision Platform aims to improve manufacturing quality and yields by ensuring that all components, sub-assemblies, and products undergo thorough inspection thanks to up to eight cameras connected to the platform, various I/Os, and wireless connectivity options. Visit the SoM product page for more information about the module and baseboard themselves, as well as links to product briefs for the Smart Recognition and Smart Machine Vision platforms leveraging the hardware.